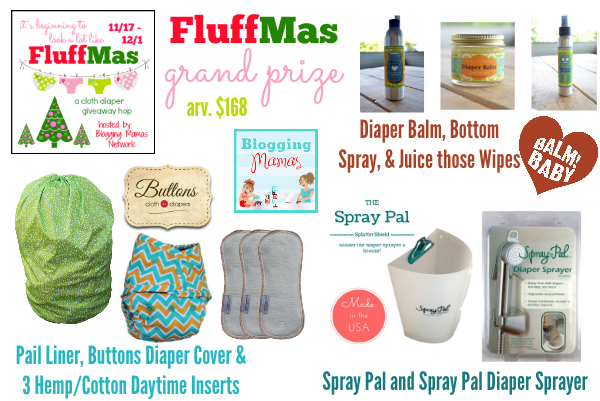 A YEAR OF JUBILEE REVIEWS: Wonderful Bambino Bamboo Diaper in the Fluffmas Giveaway! 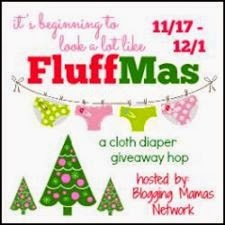 Wonderful Bambino Bamboo Diaper in the Fluffmas Giveaway! Wonderful Bambino Experience Pack comes with one fitted diaper and 3 bamboo inserts. This system provides supreme absorbency for heavy wetters. A fantastic night time diaper (with a cover added). I have read that microfiber is not to come in contact with baby's bottom, as it causes rashes. Many inserts for the pocket diapers are made of microfiber. 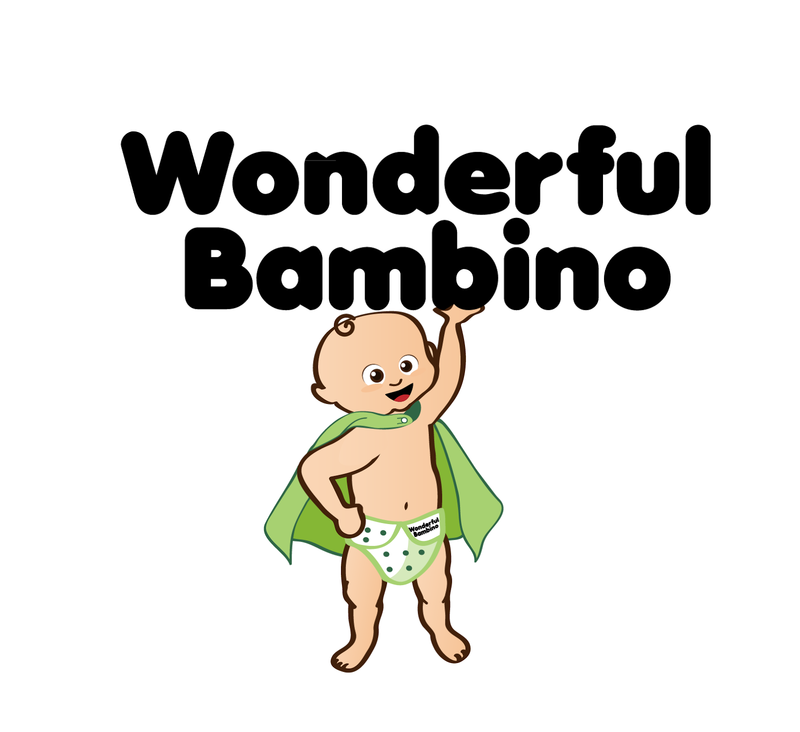 I was so excited to find Wonderful Bambino and their bamboo products. This nature product line uses high grade bamboo fabric for comfort and a natural fit. The diaper fits babies 12-40 pounds. I will definitely be adding photos and information to my review after my little one reaches the size she can wear her Wonderful Bambino. You can use just one insert or three for more absorbency. This diaper shows just one insert. It really depends on how big of a wetter you have. The more inserts, the more bulk, but at night that shouldn't be a problem. I so wish you could see the nature of this fabric in the photos. It is incredibly soft! Once you try bamboo diapers you won't want to use anything else. and get started trying this great, natural diaper!! So Easy Being Green, Viva Veltoro, the Blogging Mamas Network, and the FluffMas participating bloggers are not responsible for sponsors who do not fulfill prize obligations. I like all the fitted diapers. I want to try bamboo for my heavy wetter over night. I love their prefolds would love to try their fitteds! I haven't tried their fitteds, would love to! I want to try ther fitteds so bad! They look very absorbent and great quality! I like that the diapers are 12-40 pounds! That is a little different than most on the market. We are hitting potty training and my kiddo still needs super soaker at night! I love how simple their fitteds are. I'm going to wind up putting covers over them, so I like how I'm not covering up a fancy design. The Eluna jewelry looks amazing! It's so pretty! I love the inserts! They looks so soft! I love that the fitteds are made from bamboo - they are sooo soft! I learned that they also sell cloth wipes. Perfect for using in conjunction with cloth diapers. I like their 60 day warranty. One of their diapers is the equivalent of $130 in disposables. I'd like to try the therafit shoes. Five layers of absorbency, perfect for night time use. I'd love to try these!!! I love that all their products are made from bamboo! I'd love the Charm It! bracelet for dd! I learned that they have wipes, which I didn't know! From the gift guide, I'd love to try those Andre Lorent brushes. I really like the simplicity of the diaper, doesnt look bulky. Wonderful Bambino Bamboo Cloth Wipes / Wash Cloths 5 Pack. I love how soft bamboo is and that it is absorbent without being bulky. I learned that their diapers are absorbent enough for night time and are trim. I would love to try their prefolds and wipes! I love how soft and absorbent their bamboo is. Would love to try fitteds! The AON Box Speakers looked nice, portable, and green to boot! Wonderful Bambino is at the top of my "need to try" list! I love that they are made of trim and absorbent bamboo. I also love that they are starting to add more colors. I'd love to try the Ragamuffin Farm soaps. The scents sound amazing! I'd love to try their prefolds and fitteds... they both look great for heavy wetters like my daughter! I love that its made of 100% bamboo. I love that they're bamboo and so soft! I learned that they are located in Dallas, Texas which is where I am! That is super exciting! The gameday score board is really cool! My husband and kids would love it! I really like that they are bamboo materials used in the fitteds. I like that the diapers are 100% bamboo. I like the discount on a five-pack of fitted diapers. I like that their fitteds are absorbent and trim, I'd love to try these for night time! Just one WB dipe equals $130 worth of disposable dipes. That's crazy. I would love to try the Ezy roller. 60 day no questions asked warranty. So if i don't like it I can return it.